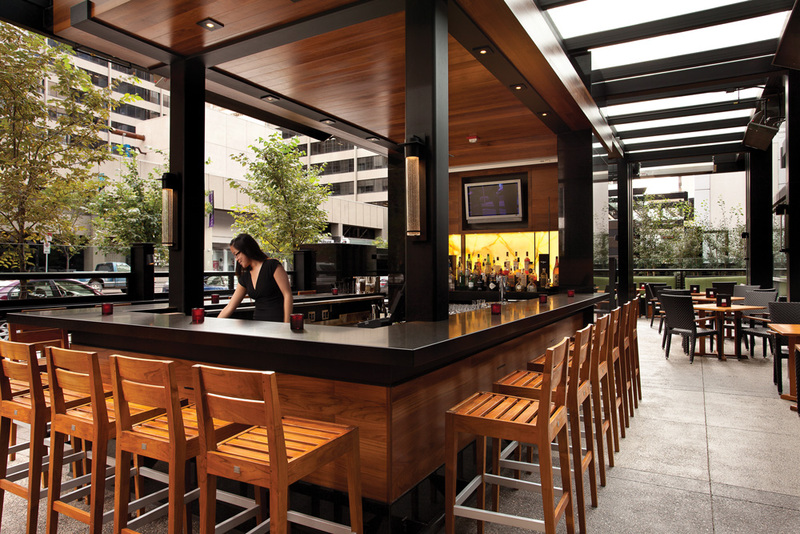 When your ideal afternoon involves cocktail menus, dining alfresco and plenty of sun, know that these patios are all perfect for your day drinking needs. Just as elegant as the indoor portion of the restaurant, Ki’s patio is the perfect venue for the discerning day drinker looking to sample the restaurant’s summer cocktail menu. The patio is 80-per cent covered to protect guests from sudden rain or too much sun and far enough from the downtown traffic on 4th Avenue S.W. that it’s quiet enough for afternoon chit-chat or business drinks. It’s easy to miss this patio. You have to walk through the whole pub to get there, but when you do, you’re treated to a quiet terrace shared with only a few other people. There are views of Kensington, but because it’s on the second level of the building, there’s no need to worry about noise. This patio has only four tables and sits 16 at most. It’s almost impossible to get a seat in the evenings, which makes it perfect for day drinking. 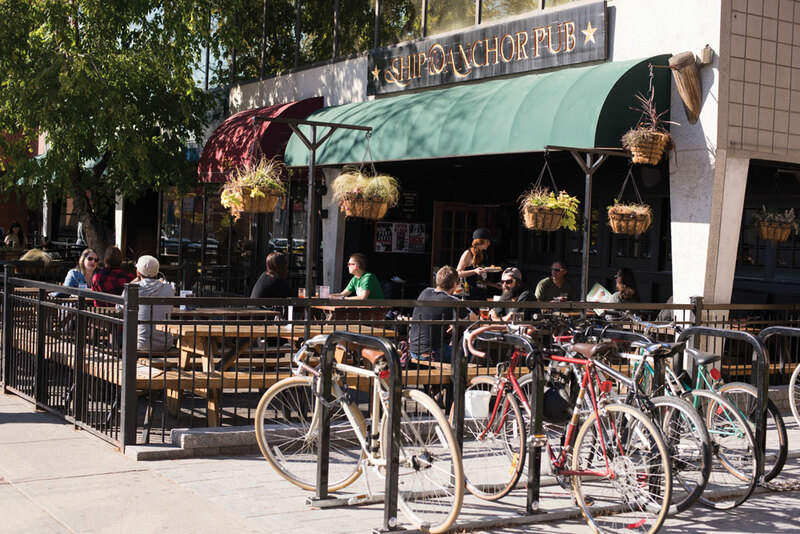 The sunny and very public sidewalk patio at the Ship is the place to park on a sunny day when a pint of beer is the only thing that will do. Don’t have a pal to drink with? Don’t worry – even if there’s no one you know in the bar, it’s more than likely a friend will spot you from the street and won’t be able to resist the invitation to join in.